Decree No. (6) of 2010 dealing with the Executive Regulations of Law No. (13) of 2008 (Regulations) has now been signed and is awaiting formal publication in the Official Gazette. 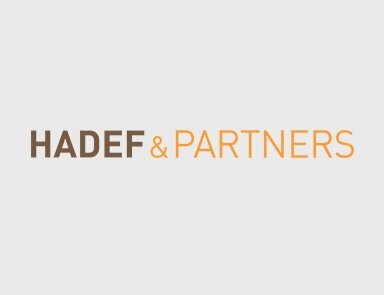 Hadef & Partners has reviewed a copy of the Regulations and is pleased to bring you the following brief update, with more analysis to follow once the Regulations are published in the Official Gazette. The Regulations make it clear that a developer needs to only submit an application to register units under Article (3)(2) of Law 13 within the specified time in order to comply with the registration requirements. Applications made outside this time will still be registered but a fine of AED10,000 will be levied. Developers cannot sell off-plan before taking possession (which includes actual control of the land) and only after obtaining the site location plan along with all necessary approvals from the competent authorities for the project. Parking lots must be registered along with the purchasers units. The developer cannot refuse to transfer units if the purchaser has fulfilled his contractual obligations even if the purchaser owes other financial obligations not arising out of the particular sales contract. Developers who wish to sell using real estate brokers must conclude a contract with a registered broker and have that contract registered with the DLD. Sales of units in projects that have not been fully approved by the authorities are void. Where brokers market all or part of the project the broker must place all sums received against the purchase price for the unit in the escrow account and cannot deduct monies for brokerage until after payment into the escrow account. Any contract that allows otherwise shall be void. The DLD has the authority to act as a mediation service for disputes between developers and purchasers. Further clarity is given on the procedures for terminating purchasers. Developers appear to now be able to send their own termination notices (i.e. not through the DLD) provided they copy the notice to the DLD. A developer does not need to sell at public auction if he completes more than 80% of the project and may elect to terminate the contract and retain up to 40% of the purchase price. A developer can only rescind a contract with a purchaser where construction has not started provided the developer proves he has fulfilled all his contractual obligations and proves the project was not initiated due to causes beyond his control and the failure was not due to his negligence. Leveling and infrastructure works are evidence that a developer has started a project. A developer may make use of or let a unit to a third party if the unit is not auctioned subject to the developer repaying any balance sums due to the defaulting purchaser in accordance with the timeframes set out in the Regulations. in any other cases applicable under general legal rules. any other causes as deemed by the DLD. A developer can appeal the DLD's decision to cancel a project within seven days of being notified by the DLD. If the balance in the trust account is insufficient to satisfy the purchasers’ rights, the developer shall repay the outstanding sums to the purchaser within 60 days of cancellation unless an extension is granted by the DLD. If a developer fails to repay the sums to purchasers in cases of project cancellation, then the DLD has the authority to take necessary steps to protect purchasers' rights including referring the matter to competent judicial authorities. The Regulations whilst providing some much needed clarity over many issues also throws up some interesting characteristics such as reinforcing the wide degree of power and discretion the DLD holds in respect of projects. It is also still not clear how the DLD will approach situations where a purported termination of a purchaser is met with resistance and/or whether the DLD will remove an interest in the interim register without a court order where a legitimate dispute has arisen. Further clarity may also be needed where a bankruptcy event occurs as to how exactly the interim registered interests will be treated as far as priority is concerned in the bankruptcy situation.